NORTH CANTON Turnovers are best in moderation. Whether produced in a bakery or committed on a football field, too many turnovers — apple, cherry, fumble or interception — can play havoc with the waistline or a game plan. Just ask the Hoover football team, which saw visiting Hudson take advantage of three turnovers in the first half — and five overall — before leaving Don Hertler Sr. Field at Memorial Stadium on Friday with a 31-7 victory. 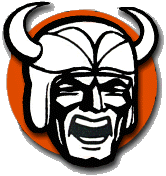 For those keeping score, the Vikings have committed nine turnovers in their last two games and sit at 1-2 heading into Federal League play next week against McKinley. What made it more frustrating is that even when the Vikings were not playing give-away, they couldn’t get the ball into the end zone until 11:46 remained and they already were behind, 28-0. Using an unrelenting running game, Hudson turned three first-half miscues into touchowns in just over five minutes in the second quarter. There were bright spots, however, in this 24-point loss. Sophomore quarterback John Keller, routinely under duress, completed 19 of 32 passes for 131 yards and scored Hoover’s lone touchdown when he weaved his way around the left side on a 15-yard run on the third play of the fourth quarter. Keller, at 6-1 and 180 pounds, started and finished the game, yielding to senior Cameron Mayle for the final seven minutes of the second quarter when it was 7-0. Mayle had a rough time, throwing two interceptions on his only attempts. Keller also rushed for 66 yards on 12 attempts. Junior Eric Sarbaugh caught seven passes for 41 yards, including a 12-yard reception that paved the way for Keller’s TD run. Senior Vince Serpiglia caught three passes for 48 yards, and junior Alex Nicholson had four receptions for 22 yards. Hudson needed no help in opening the scoring as it put together an 11-play, 77-yard drive — all on the ground — on its first possession. Hoover tried to retaliate and drove to the Hudson nine on its second possession. However, a holding call and two incompletions led to a missed 36-yard field goal attempt. 6-4 quarterback Jackson Parker about three minutes later. Adding salt to its wound, the Vikings fumbled the ensuing kickoff at their 27-yard line and Colin Paltani’s recovery set up Moreno’s second score, a 20-yard blast through the interior.